Are the Spurs the NBA’s Monstars? These are my thoughts at 3 a.m., which carried over to a morning with just a couple hours of sleep. We should’ve seen a performance like last night coming, especially after what happened last year when the Spurs rested Tim Duncan, Manu Ginobili, Tony Parker and even Danny Green against Miami. The Heat needed 47 minutes and 55 seconds to pull away from a “depleted” Spurs squad, one that got a double-double out of Matt Bonner, no less. Despite the excitement that came from a near-upset over the Heat, the Spurs got tacked with a fine for resting four-fifths of their starters. 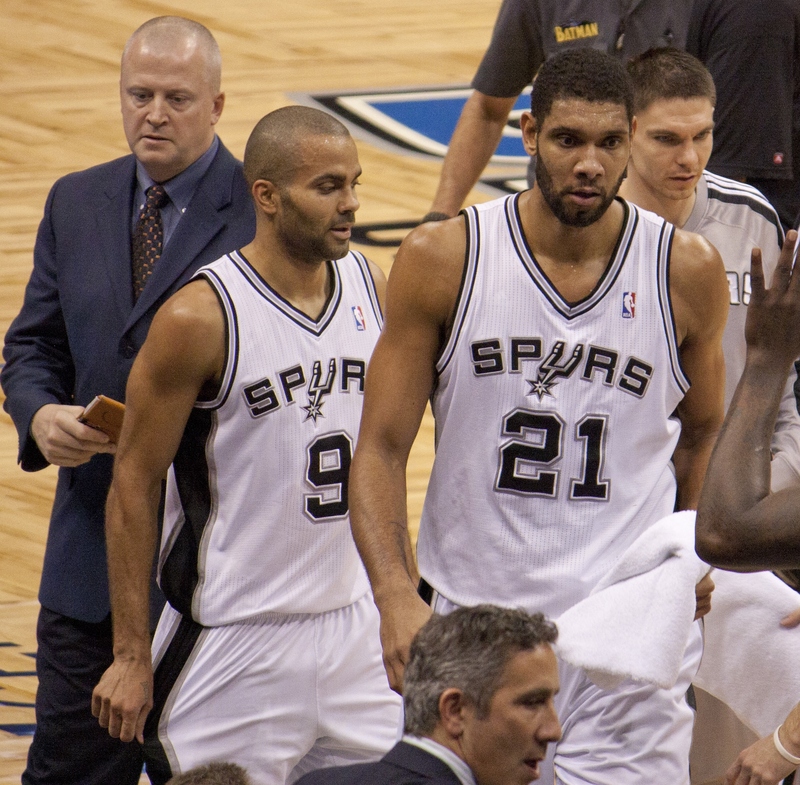 There was no fine for resting Duncan, Ginobili, and Parker last night against Golden State. All they left with was a victory over a Warriors squad trying to find themselves again since Andre Iguodala returned from a strained hamstring. I don't usually tweet after games, but there was no excuse for that, period. Last night wasn’t a mega-Ewing Theory because the Spurs aren’t vastly overrated and Duncan won four rings from 1999 to 2007, though it was understandable to write them off last night when their starting lineup gave us a clue of what we could possibly see in 2016. What they could be, though, is the NBA’s version of the Monstars. It’s entirely possible that Duncan, Ginobili, and Parker transferred their talents over to Boris Diaw, Marco Belinelli, and Patty Mills as soon as the former three were scratched from tonight’s game, right? Right?!?! To be fair and not so weird, Diaw has already been one of the best players in the post this season. He’s fourth in the league in post-up efficiency, according to Synergy, averaging 1.13 points per possession over 38 tries. He’s also been oddly effective in isolation by finishing with scoops and hook shots, averaging 1.36 points per possession in those specific situations. Meanwhile, Belinelli has been on fire this season by shooting a league-leading 53.2 percent from three and 60 percent in catch-and-shoot situations, according to SportVU. Mills has also been a hot hand in limited time with shooting splits of 47.3/43.4/80 and a PER of 18.9. It was other-worldly even after factoring in Diaw’s performance in last year’s Finals, Belinelli’s streaky shooting in general, and Mills’ intense towel-waving. We also can’t forget Tiago Splitter‘s game-winner. But you could also compare the Monstars to other teams in the NBA. After all, the Nerdlucks stole the talent of the NBA’s best players and Shawn Bradley. Were the Heat the Monstars of 2011? What about Daryl Morey over the last two seasons? Maybe Gregg Popovich is just a really, really good coach. Switch him with Randy Wittman and let’s see how good the Spurs are without their three franchise cornerstones. Even with Pop, it’d be interesting to see how the they would do in the East. At worst, they’re probably a fifth seed.